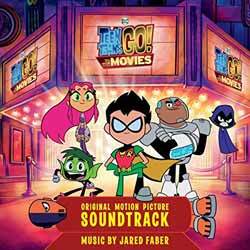 The soundtrack to Teen Titans Go! To the Movies contains 23 tracks (35 min, 31 sec) and is made up of a combination of songs and the score by Jared Faber. While fun enough, I could have done with out the majority of the songs and more of Faber's score. There's the odd homage to other movies including 'Check This Out' (The Lion King's 'The Circle of Life'), and a quick blast of Alan Silvestri's Back to the Future theme. This is really a soundtrack aimed at young fans of the movie and as such it represents an engaging musical souvenir of the film.